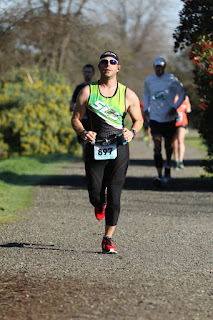 I have been on a mission to get back to my Ideal Race Weight, which is around 168. I have lost about 19 pounds and have 5 left to go. I have been following the Paleo Diet for the most part and it has been great. 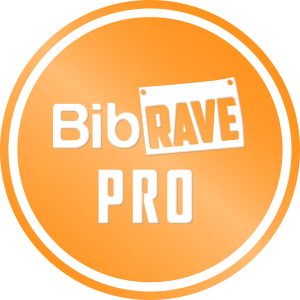 While I don’t have quite as much energy as when I eat grain based carbs, it has really helped me drop some weight without feeling hungry all of the time. I ran across a company that makes snacks that are Paleo so I knew I had to try them out. Go Raw was founded by Robert Freeland. Robert was working for the Optimum Health Institute when he was 17 years old. He found that there was a limited amount of choices when it came to raw foods. In 2002, Robert renovated a small retail space in San Diego and began producing his forst flaxseed crackers. After a lot of hard work, he started selling at the Ocean Beach Farmer’s Market and his crackers quickly sold out. One day he got a call from Whole Foods, which agreed to carry his products across the country. Robert relocated to Mountain View in 2005 into a 4,000 square foot facility with 10 staff members, where he began to develop more products. Today Go Raw is located in a 65,000 square foot facility with 100 employees. They make over 40 different products ranging from sprouted seeds, to bars, to crackers and more. So, what exactly is a raw food and why should you eat them? Raw foods are loaded with enzymes that help your body to properly digest food to get the most out of the ingredients. Most companies cook the nutrients out of their foods. Raw food is alive (insert tiny screams here). Go Raw products are gently dehydrated by utilizing a process that maximizes enzymes, nutrition, and flavor. I received an assortment of tasty treats from Go Raw. I received the Raisin Crunch Sprouted Bites, Pumpkin Seed Sprouted Bites, Ginger Snap Sprouted Cookies, Choco Crunch Sprouted Cookies, Zesty Pizza Sprouted Flax Snax, and Sweet Spirulina Sprouted Bar. 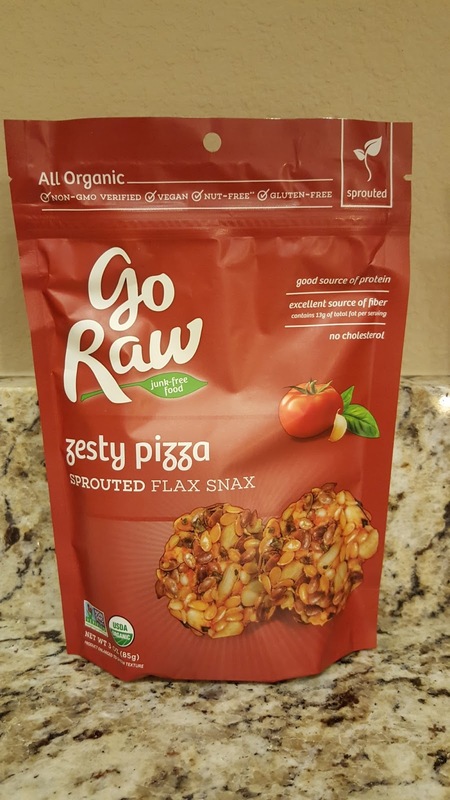 I was really excited to test out the Zesty Pizza Snax, but after testing all of the products, the Raisin Crunch turned out to me my favorite. I am thrilled to find snacks that are not only great tasting, but are really good for you. The Pizza Snax are flavored with tomato and garlic. 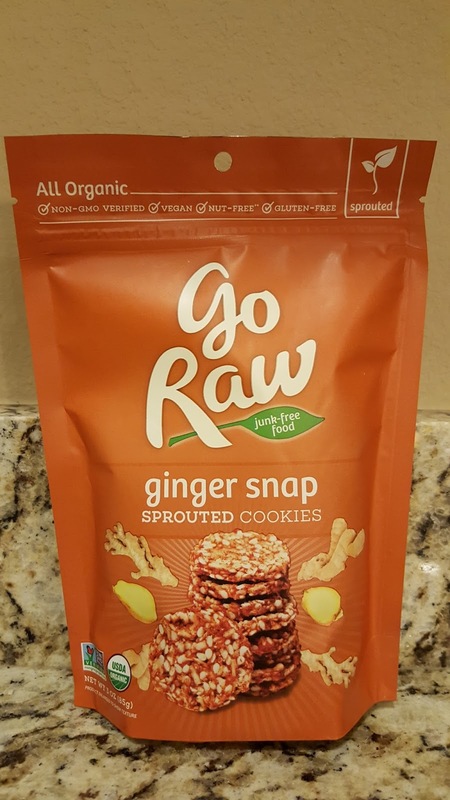 The Ginger Snap Cookies are full of flavor and have a little bit of a bite from the Ginger. The Choco Cookies are a healthy chocolate treat so you won’t feel guilty after you eat a handful. 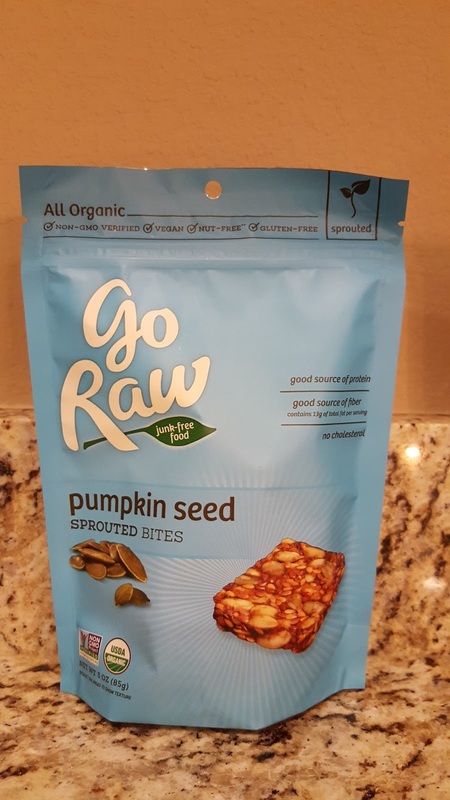 The Pumpkin Seed Bites are both salty and sweet, the perfect combination. 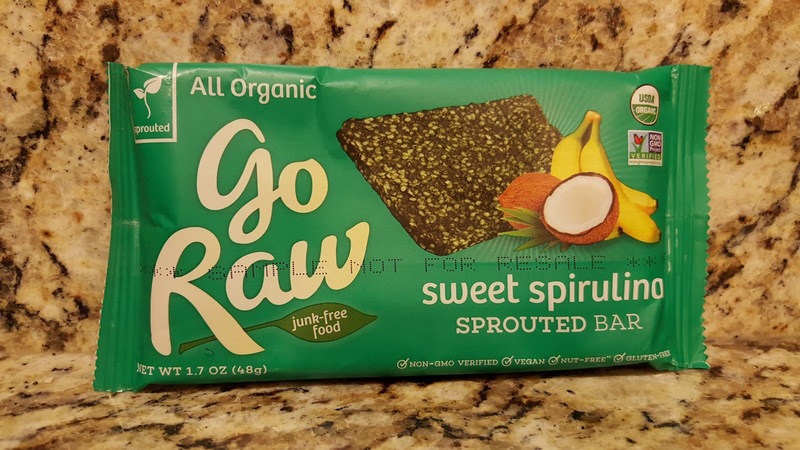 The Spirulina energy bar is made with the superfood Spirulina, coconut, and banana. The Raisin Crunch was irresistible though. 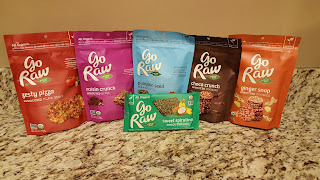 I loved the taste of each of the products and can’t try the other Go Raw products. If you are trying to lose weight or even just make healthier decisions, it is really hard to find a decent snack that isn’t full of saturated fat or void of any nutritional value. Go Raw makes tons of products that taste food and are good for you. 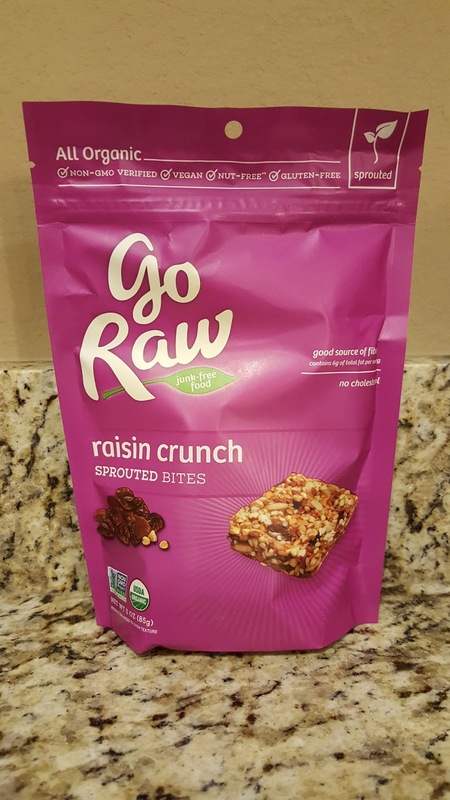 You can buy them on the Go Raw website, online, or at your favorite grocery retailer. Pick up a bag or bar today. 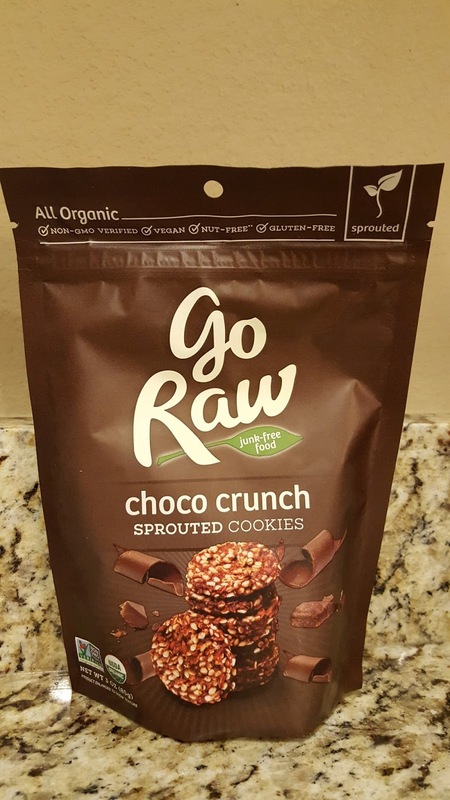 With Go Raw’s awesome products, you can eat healthy and still enjoy your snacks.